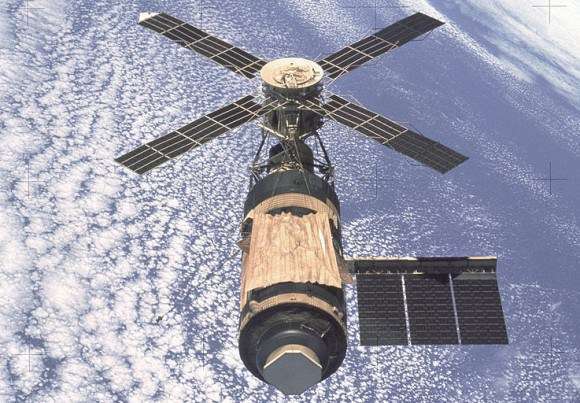 Before there was the International Space Station, before there was Mir, there was Skylab. 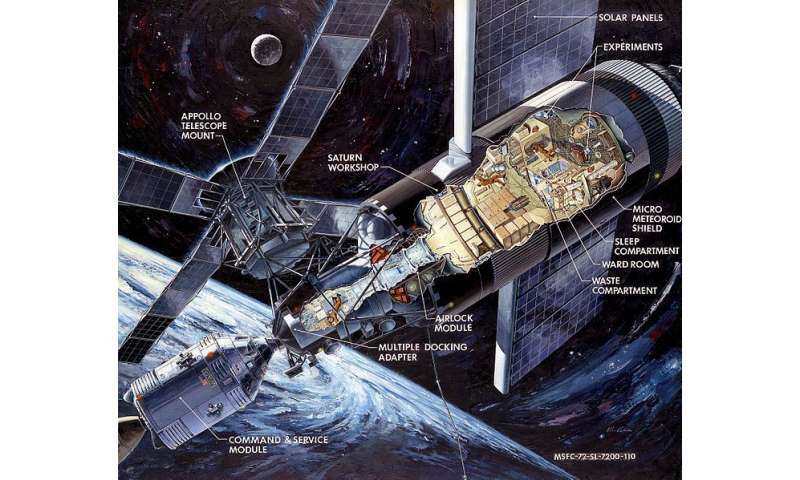 Established in 1973, and remaining in orbit until 1979, this orbital space station was American's first long-duration orbital workshop, and the ancestor of all those that have followed. Originally conceived of in 1969, the plans for the station were part of a general winding down that took place during the last years of the Space Race – which officially ran from 1955 to 1972. 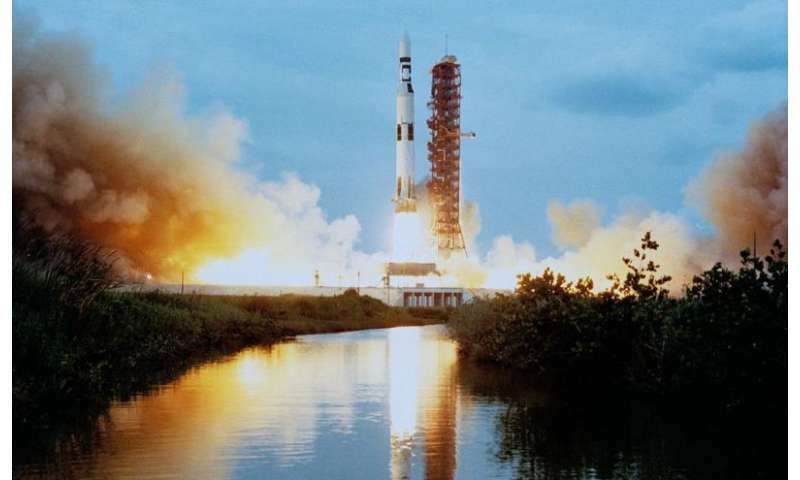 Having sent astronauts into orbit and achieved the dream of manned missions to the Moon, the purpose of Skylab was to achieve a lasting presence in space. Rather than simply "getting there first", NASA was now concerned with staying there. Similarly, as of September 1963, the US Department of Defense (DoD) and NASA began collaborating on a manned facility known as the "Manned Orbital Laboratory" (MOL). 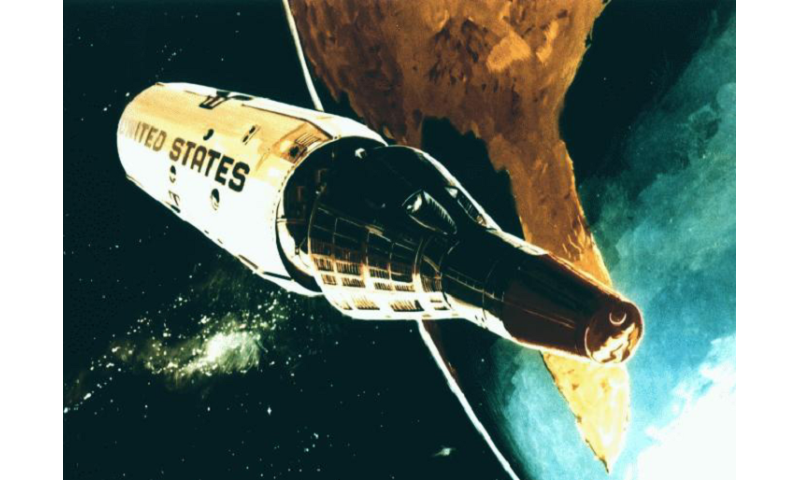 The initial DoD plan called for a station that would be the same diameter as a Titan II upper stage, and which would primarily be intended for photo reconnaissance using large telescopes directed by a two-man crew. Throughout 1965, several more proposals were considered that relied on the Saturn S-IVB stage to create a space station. As part of NASA's The Orbital Workshop program, this proposal also called for sending a crew to man the station using a Apollo Command-Service Module (CSM) aboard a Saturn IB rocket. In February of 1970, the program was renamed "Skylab" as a result of a NASA contest. A Saturn V rocket that was originally produced for the Apollo program – before the cancellation of Apollo 18, 19, and 20 – was re-purposed and redesigned to carry the station into orbit. 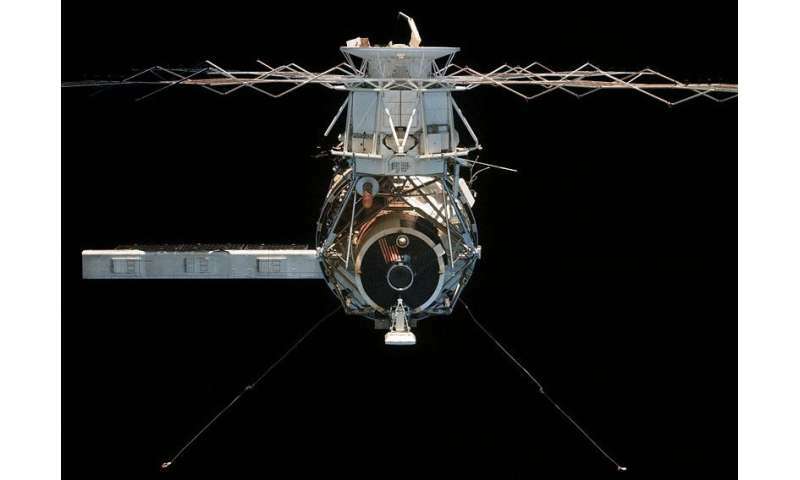 Skylab was launched on May 14th, 1973 on a mission that is sometimes referred to as Skylab 1 (or SL-1). Severe damage was sustained during the launch when the station's meteoroid shield and one of the two solar panels tore off due to vibrations. Skylab's demise was an international media event, with merchandising of T-shirts and hats with bullseyes, wagering on the time and place of re-entry, and nightly news reports. In the hours before re-entry, ground controllers adjusted Skylab's orientation to try to minimize the risk of re-entry on a populated area. On May 13, NASA commemorated the 40th anniversary of Skylab's liftoff with a special roundtable discussion broadcast live on NASA TV. The event took place at NASA's Headquarters in Washington, DC, and participants included Skylab and current ISS astronauts and NASA human spaceflight managers.